Services of Supply (SOS) U.S. Army Hospital Units in India, northern Burma and China during the first half of 1945. Station Hospitals of 250 or less beds were commanded by a Lt. Colonel. All other Hospitals by a Colonel. Station Hospitals were allocated in varying sizes down to 50 beds. 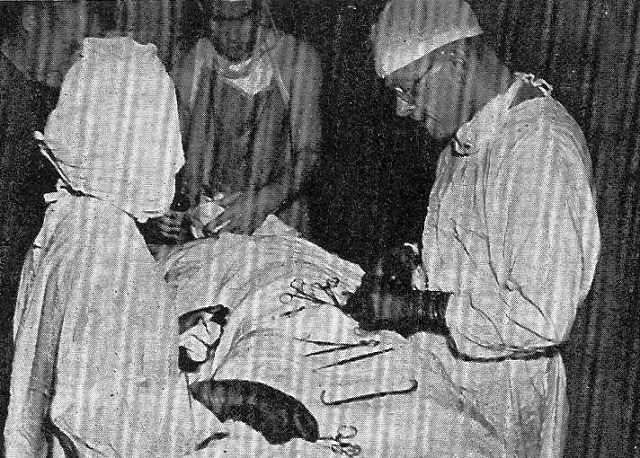 Doctors operate at the 20th General Hospital. Nurses quarters at the 20th General Hospital, August 1945. Dr. Isidor S. Ravdin, Commander 20th General Hospital, 1945. Brig. Gen. Lewis Pick awards Legion of Merit to Dr. Ravdin. 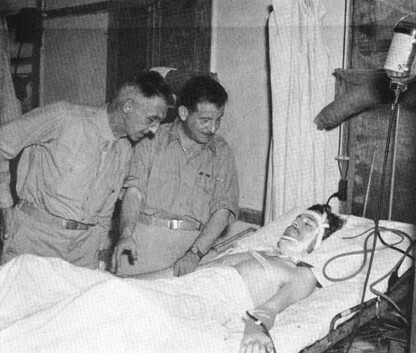 General Stilwell and Dr. Ravdin visit wounded soldier. 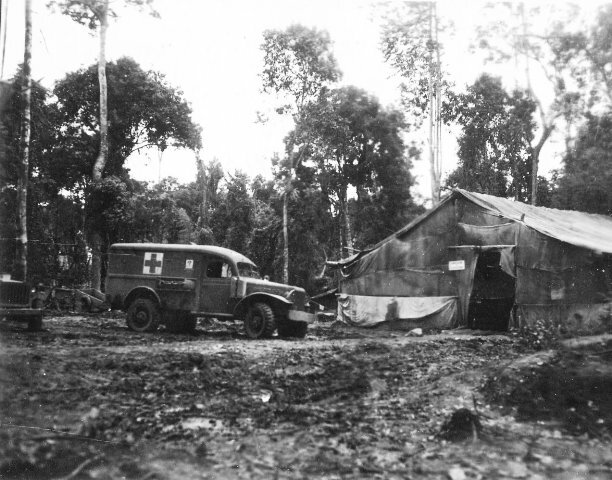 14th Evacuation Hospital at Mile 19 on the Ledo Road. 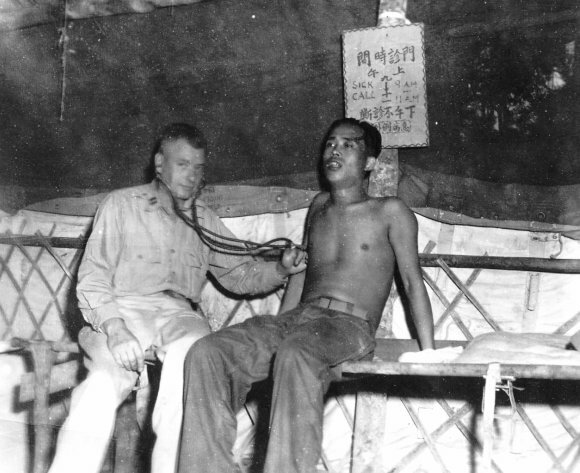 An injured Chinese soldier is treated at the 25th Field Hospital in northern Burma, 1944. 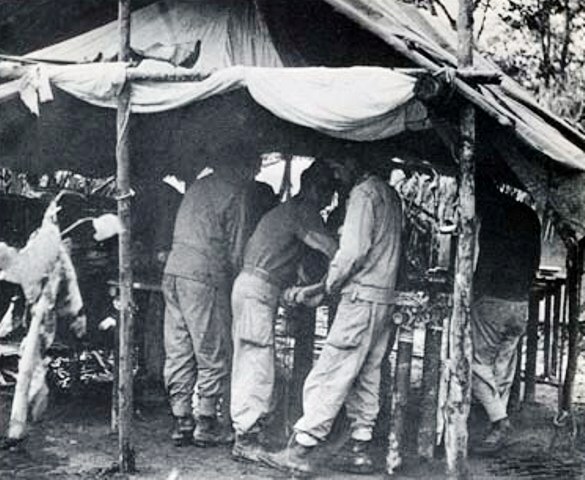 73rd Evacuation Hospital at Shingbwiyang, Burma, Mile 103 on the Ledo Road. Headquarters of the 142nd General Hospital at Calcutta. Commanding officer Col. Howard S. McConkin is at right. Other officers (l-r) Lt. Gen. Raymond A. Wheeler, Maj. Gen. Horace H. Fuller, Brig. Gen. Robert Neyland. 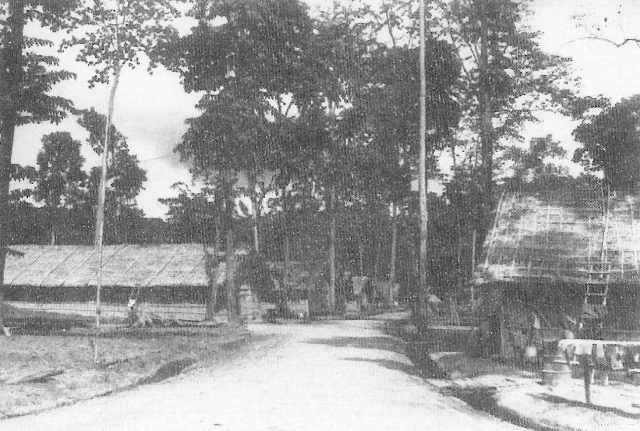 Seagrave Hospital Unit at Tagap Ga, Burma, August 1943. 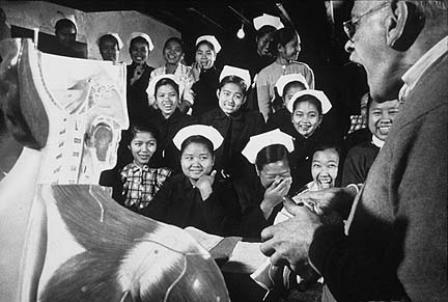 Seagrave Hospital Unit with Burmese nurses at Shingbwiyang, Burma, Christmas 1943. Shower rigged using drums, bamboo pipes and perforated cans as the shower head. Evacuation of wounded by air was relatively new to warfare during the Second World War. For every Allied soldier wounded in the struggle for Burma in 1943, 120 fell sick. The malarial rate that year was a staggering 84 percent of total manpower. The Army sprayed DDT on mosquito infested areas and ordered all personnel to wear protective clothing after dusk regardless of the temperature. Troops were issued daily medication to protect them against malaria. Scrub typhus, a disease spread by mites, posed another problem. This disease demanded an extremely high level of nursing care and had a 30 percent fatality rate. Although the Army attempted to employ DDT to control the spread of the disease, it had minimal success. Troops also suffered from exhaustion, malnutrition, and amoebic dysentery. Plane crashes and truck accidents occurred frequently across this difficult terrain. 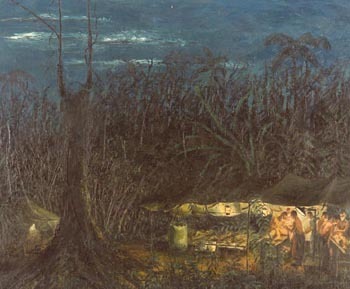 Nurses stationed in isolated jungle hospitals in the India-Burma Theater worked under primitive conditions in an extremely trying climate. Many served in the theater longer than the traditional two-year assignment and suffered from low morale. They performed a necessary task but often received little recognition in this demanding but forgotten theater of war. Army nurses returning to civilian life discovered a changed post war society. The place of women in American society had been irrevocably altered and expanded by the entrance of women into professional and industrial jobs previously reserved for men. Most important for nurses, however, was society's enhanced perception of nursing as a valued profession. 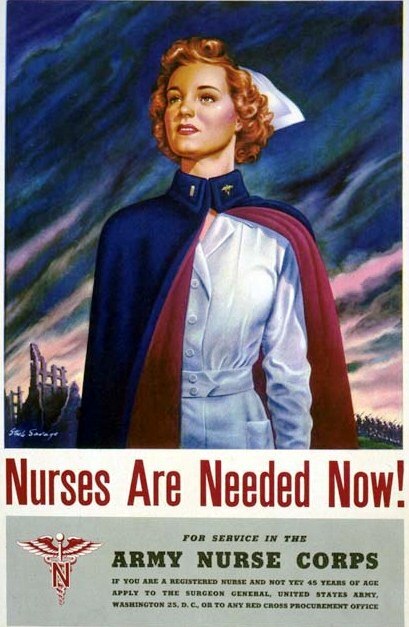 The critical need for nurses and the federally funded Cadet Nurse Corps program had been well publicized during the war. Upon their return home, Army nurses were eligible for additional education under the G.I. Bill of Rights, which would enable them to pursue professional educational goals. Veteran nurses also brought home with them valuable skills and experiences, increasing their professional status and self-esteem. The Army had trained significant numbers of nurses in specialties such a s anesthesia and psychiatric care, and nurses who had served overseas had acquired practical experience otherwise unobtainable. 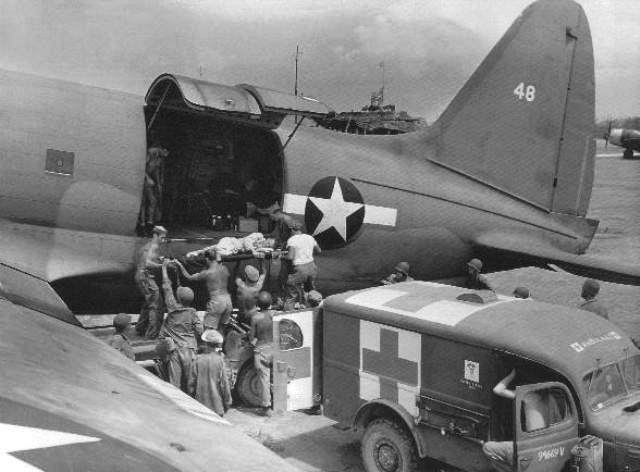 Those assigned to field and evacuation hospitals had become accustomed to taking the initiative, making quick decisions, and adopting innovative solutions to a broad range of medical-related problems. They had learned organizational skills by moving and setting up field and evacuation hospitals while following the troops and had developed teaching and supervisory skills while training the corpsmen under their command. Paperwork no longer intimidated them, as circumstances had forced them to deal with increasingly complex administrative chores. NUMBER 111 ) May 9, 1942. The travel directed is necessary in the military service. FD 31 P-02 A 0425-23; QM 1624 P 57-07 A 0525-2. In lieu of actual expenses for subsistence a per diem of $4.00 is prescribed. Travel by privately owned conveyance (AR 35-4820) is authorized. Below are a few brief resumes of some of the U.S. Army nurses who served in the China-Burma-India Theater. 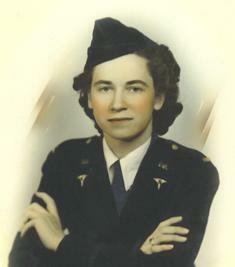 I joined the Army Nurse Corps Reserves and was called to active duty in October, 1941. I sailed on the SS Brazil in March of 1942 as a member of the 159th Station Hospital and arrived in Karachi in May. Sent on detached service to Bombay at the embarkation hospital. Returned home in June, 1944 with a plane load of patients. 112th Station Hosp. Calcutta; 263rd Gen. Hosp. and, the 98th Station Hosp., Chakulia. Entered the Army in February, 1942 and was assigned to the 59th Station Hospital which arrived in India, 1943. It became the 181st General Hospital. I returned to the U.S. in August, 1945 and made a career of the Army Nurse Corps. Retired as a Lt. Col. after 20 years service. I was chief nurse at the 159th Station Hospital in Karachi, India. There were 90 nurses in the unit. This was the first U.S. Army Hospital in India. I retired from the Army in 1947. 142nd hospital, Lake Dhakuria, India (Retired as Major). I entered the Army Nurse Corp in May, 1943 and served in the CBI Theater starting in January, 1945. I was stationed at the 372nd Station Hospital, Kalakunid; the 178th Station Hospital, Lalmanirhat; the 20th General Hospital, Assam, India; 98th Station Hospital Shingbwingang, Burma; the 70th Field Hospital in Kunming, China. I was relieved from Active duty in March 1946 and retired from the Army Reserve in 1973 with 30 years of service. 112th Station Hosp. Calcutta Surgical Supervisor. 159th Station Hosp. which later became the 181st Gen. Hosp. at Camp Milar, India. Immediately after December 7th, 1941, I took my oath of allegiance and joined the Station Hospital, Lemoore ACB, California. After much training, we flew to Karachi, India in December of 1944, stationed at Malir. In February of 1945 went to Ledo, attached to the 69th General Hospital and were neighbors of the 20th General Hospital and General Pick�s Headquarters. I flew the Hump to the 95th field hospital in China which was later re-named the 172nd General Hospital. In September 1945 we took the troops to Shanghai and set up our final hospital operation. I returned to the U.S. aboard the USS Scott, rejoined the reserves, 352nd General Hospital until retirement in 1964. 181st Gen. Hosp. Karachi and 20th Gen. Hosp. in Ledo. 48th Evac. Hosp. Myitkyina, Burma. 159th Station Hosp. which became the 181st Gen. Hosp. Chief Nurse. 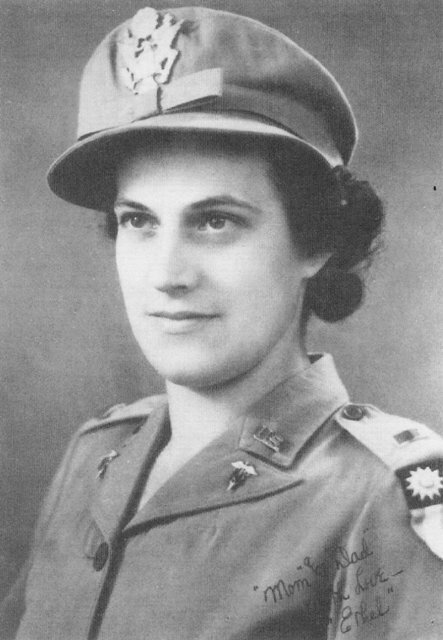 1st Lt. Dorothy A. Cabaniss, was recruited from Charlotte Memorial Hospital, Charlotte, N.C. by Dr. Addison G. Brenizer who was organizing a base hospital unit. 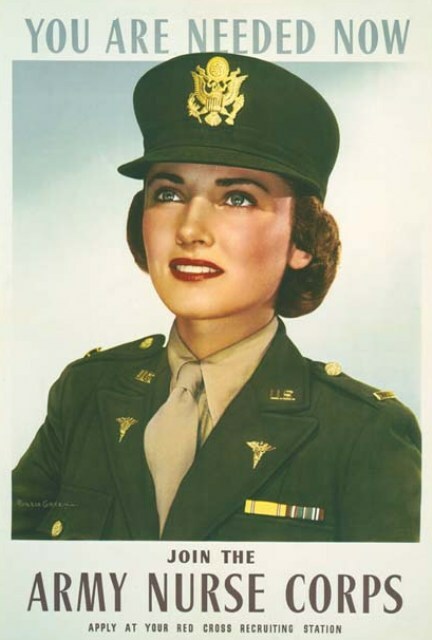 Nov. 10, 1942 she joined the Army Nurse Corps and took the oath of office. Nov. 21, 1942 she arrived at Lawson General Hospital, Atlanta, Ga. Jan. 21, 1943 they were sent to Camp Wheeler, Macon, Ga., for training. They were forming the 111th General Hospital. They left Camp Wheeler and arrived at Camp Anza, Calif. July 6th, 1943. They sailed on the US Army transport Uruguay on August 3, 1943. They arrived Sept. 10, 1943 in Bombay, India. On Sept. 13th they boarded His Majesty's Troop ship The Nevasa and sailed for Calcutta. Then they rode an Indian river boat from Dhubrito to Pandu. They stopped and spent time at a Baptist Mission Hospital. Then they rode an Indian train and arrived at Chabua. 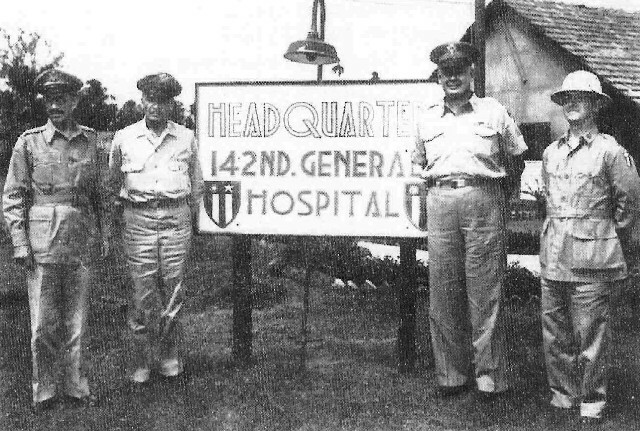 On Oct. 5, 1943 they had the 111th General Hospital up and running with 165 patients. A year later they had 900 patients. Dorothy was stationed there until Oct. 1945, when she came back to the States and was stationed at Battey General Hospital until she was out of the Army. 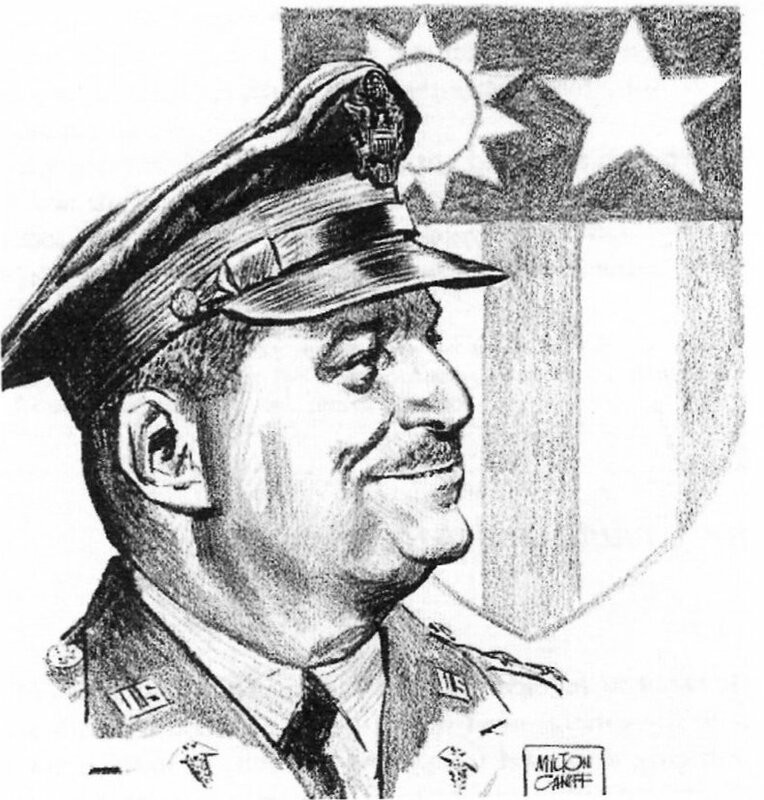 Major, Chief Nurse, 69th General Hosp., Ledo. See In Her Own Words. 100th Station Hosp., New Delhi. I was called to active duty in January 1941 and left in September, 1942 for service in Africa, Egypt, Palestine and Persia. After further assignment in the U.S. I flew to Karachi, India and although eligible to return, remained for duty at the 100th Station Hospital in New Delhi, the 98th Station Hospital, Piradoba and 142nd General Hospital in Calcutta. I returned to active duty with the Air Force for 16 years, serving in Alaska and Germany and then retired. The 48th Evac. Hospital was activated as a unit from the Rhode Island Hospital on September 1, 1942 and left for India on January 20, 1943, aboard the USS Monticello with the 20th General Hospital of Philadephia and the 76th Evac. Hospital of Los Angeles General Hospital. Arrived at Bombay on March 4 and all three hospital units were sent to Ledo. Some of our unit stayed at Ledo while a larger group was sent to Ramgarh, the training center for Chinese troops. 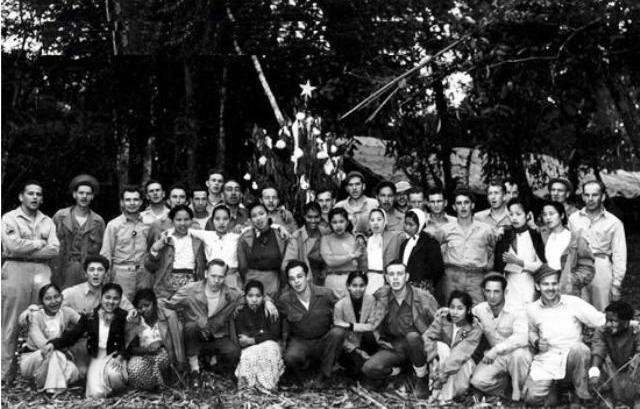 Reunited with the Ledo group in June 1944 and moved to Myitkyina in October for the remainder of the war. Repatriated a few at a time beginning in May 1945. I was assigned to Camp Edwards on Cape Cod and then to Framingham General Hospital in Framingham, Mass. Finally discharged on November 4, 1945. I was in the Active Reserve in Washington, D.C. from 1958 until April of 1962 during which time I was promoted to Captain. I served in the CBI from 1940 to 1945 with the 118th General Hospital and 159th Station Hospital, Karachi. From 1943 to 1945 I was Head Physical Therapist at the 20th General Hospital, India. After World War II, I was stationed at Woodrow Wilson Army Hospital, Fort Dix Army Hospital and Walter Reed Army Hospital. In September, 1948, I retired as a Captain on a Medical Disability. 95th Station Hospital. 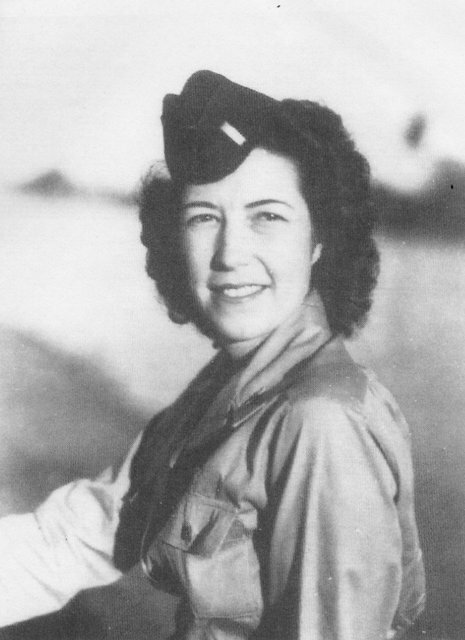 Awarded two Bronze Stars, one in India and one in China, for her service as a head nurse and flight nurse. 142nd Gen. Hosp., Operating room nurse and worked with Mary Axman. 181st Gen. Hosp., Karachi and Tezpur, Upper Assam. Dietitian 73rd Evac. Hosp. 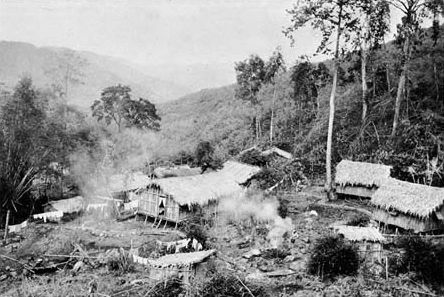 Ledo and Shingbwiyang, Burma. We, the 69th General Hospital, shipped from Newport News, Virginia, April 1943 and arrived in Bombay, India. When arriving in Assam we were all on detached service and later reorganized and a few months later moved into our new area near Ledo. When the war in Europe ended we were sent to Okinawa to stage for the invasion of Japan. Unfortunately while in Okinawa we experienced the worst typhoon they had had in 30 years. We were released there and sent home arriving in Portland, Oregon in November 1945. 159th Station Hospital and 181st General Hospital, Karachi (Sind Desert). Sworn in at Fort Dix, November 1941 and joined the 159th Station Hospital in Virginia. Sailed from Ft. Moultree in March 1942 with 89 nurses and 5 Red Cross workers on the SS Brazil for 60 days and disembarked at Karachi, India in May 1942. Stationed at Malir 159th Station Hospital, later changed to the 181st General Hospital. Discharged in September, 1946 with the rank of Captain. 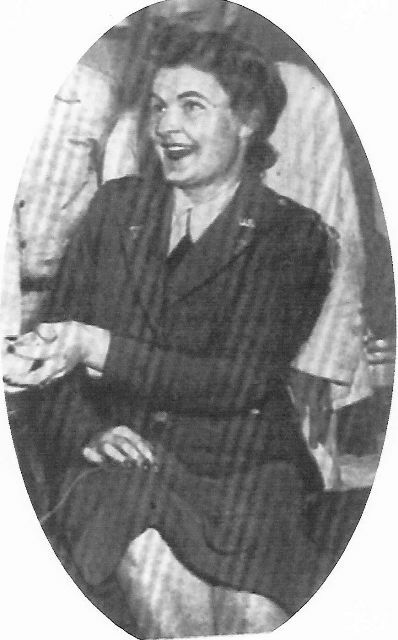 1st Lt., 112th Station Hospital Hannah enlisted in the Army on October 9, 1942. She completed her military medical training at Camp Edwards, Massachusetts. The U.S.S. West Point transported her and other military personnel to Karachi, India where her assignment began. Hannah was assigned to the 112th Station Hospital that was initially located in Karachi and then in Calcutta. She completed her assignment and was released from the military on December 23, 1945. 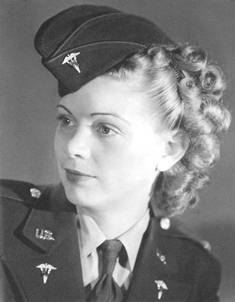 When World War II began, she volunteered for service in the Army Nurse Corps. She was assigned to the University of Pennsylvania Hospital Unit which emerged in India as the 20th General Hospital. Hayes stayed in the Army doing another stint of foreign service in Korea. She became the chief nurse in a series of Army hospitals including Walter Reed, advanced to the grade of Colonel and was selected to head the Army Nurse Coprs in September 1967. Several years later was promoted to Brig. General. General Hayes retired from the Army on August 31, 1971 with 30 years of service at which time General Westmoreland presented her with the Distinguished Service Medal. 73rd Evac. Hosp., Ledo and Shingbwiyang, Burma. 18th General Hospital, 181st General Hospital, Karachi (Debarkation). Joined the Army Nurse Corps in April, 1942 and reported to the 20th General Hospital. I sailed from Long Beach aboard the SS Monticello and arrived in Bombay, India in March 1943. Spent some time at Gauhati and then Margherita. Transferred to the 30th Station Hospital at Panagargh in October 1944 and left for the U.S. in July, 1945. Almost had to ditch the plane near Bermuda, but finally made it on 2 engines. I remained in the service over 20 years with tours in Puerto Rico and Germany. I temporarily retired in 1962 and permanently retired in 1967. One of four male nurses who assisted in surgery at the 72nd Field Hospital in Tezpur, India. He had nurse training at St. Vincent's Hospital in New York City. Basic Training was at Camp Barkley, Texas, where the 72nd was activated. He then went to Camp Roberts, Calif., for additional training and experience with the new surgeons assigned to his group. The Field Hospital was shipped to Miami by train and then flown over the South Atlantic to India, where they boarded another train for the trip to Tezpur. He also worked at the American Military Hospital in conjunction with the Baptist Mission Hospital where he met Dr. Grace Seagraves (sister of the Burma Surgeon). For a while he was a surgical nurse at the 24th Station Hospital in Jorhat and NCOIC of an orthopedic ward at the 234th General Hospital in Chabua. He sailed home in 1946 on the General Hershey. I was commissioned in April 1942 and assigned in May 1942 to the 20th General Hospital. In March 1943 I arrived at Bombay, India and then went on to Poona. Upon return to the U.S. August, 1945, I was discharged from military service, but returned to active duty in August, 1953. My assignments included 4 years (1963-67) with Army General Staff and 1 year (1967-68) with the Department of Defense. I retired in January, 1972 after a total of 22� years active service. Joined the Army Nurse corps in November 1942, and after service in the Panama Canal Zone, arrived in Karachi in July 1945. 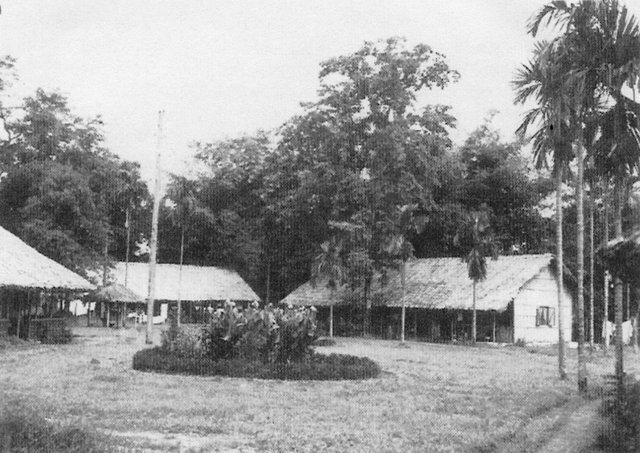 Assigned to the 181st General Hospital then in August 1945 went via Ledo to 18th General Hospital in Myitkyina. Worked in 2 acute wards for Typhus Fever while there. Returned to the U.S. in December 1945 and later discharged. Joined the active reserve in 1948 and retired in 1970 as a Lt. Col., rated as a head nurse and supervising nurse. 20th Gen. Hospital, Ledo, Assam. Chief Nurse, Train Pool transporting sick and wounded coast to coast to medical centers. 69th Gen. Hosp. Ledo, Assam. Landed in Calcutta, August 5th 1945. Assigned to 198th Station Hospital, Dacca, India August 12, 1945 which was closed in January 1946. Reassigned to the General Hospital in Karachi, January 6, 1946 which was closed end of January 1946. Awarded the Bronze Star for her service. 159th Station Hospital and 181st General Hospital, Karachi. 18th General Hospital and 172nd General Hospital, Kunming. 14th Evac. Hospital, Chabua and Seagrave Hospital Unit, Myitkyina, Burma. I arrived in Karachi by air on September 10th, 1944. My group of 6 nurses was sent to Ledo, where we were attached to the 48th Evacuation Hospital for the duration. In mid-October, our unit moved to Myitkyina. Our hospital site was located on the east side of the Irrawaddy River. Our Chief Nurse was Captain Matilda Dykstra of the original Providence Rhode Island Hospital unit. While here, I served as a surgical nurse. On V-Day in August, our unit was immediately declared excess. We replacements were reassigned to the 18th General Hospital and came home with them on the Gen. Richardson, arriving in time for Thanksgiving, 1945. I realized early childhood ambition when I was inducted into the Army Nurse Corps in April, 1942. In May 1943 I arrived in India aboard the SS Monticello and was stationed in Assam, India at the 20th General Hospital. 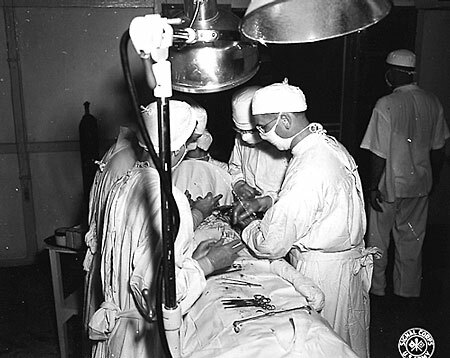 I returned to the U.S. in June 1945 and was assigned to Valley Forge General Hospital. Later I was transferred to Rodriquez Army Hospital in Puerto Rico in 1946 and in 1948 was assigned to Wright-Patterson AFB where I remained until my retirement in 1965. 69th General Hospital and later 143rd General Hospital, Calcutta. I sailed aboard the SS Brazil on March, 1942 with the 159th Station Hospital located on the Malir Desert near Karachi. Had temporary duty with the 97th Station Hospital at Agra and the 178th Station Hospital at Ramgarh, India. After returning from India, I served 2 tours in Germany, 1 in Japan and duty in seven states before retiring in 1961 at the 11th Field Hospital in Augsburg, Germany. I was in the Army Nurse Corps with the 159th Station Hospital and the 181st General Hospital in Karachi, India. 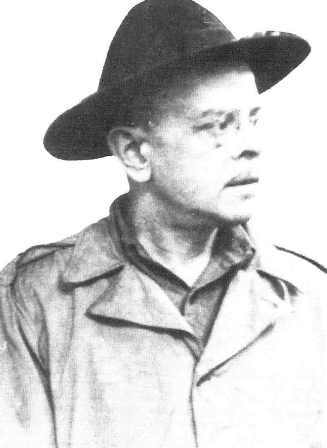 2nd Lt., 69th General Hospital , India, 26 May 1944 - 14 October 1945. I was commisioned in the Army Nurse Corps in Kunming in June of 1944 and assigned to the 95th Station Hospital. Detached to Chengtu for 5 months in 1945. 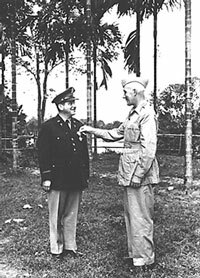 Promoted to First Lieutenant in September 1945. When the 95th Station Hospital was due to return to the U.S. in October, I was transferred to the 172nd General Hospital for further duty in Shanghai. Returned to the U.S. in February 1946, and discharged in May. 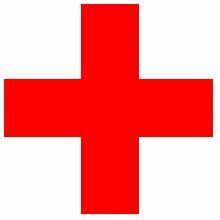 Prior to my Army service, I was a Chinese Red Cross Medical Relief Corps nursing instructor serving with the Chinese Army in Ramgarh, training medical orderlies. Met First Lieutenant Matilda Dykstra, then chief nurse of the 22nd Field Hospital there. She recruited me to cover two wards of sick Chinese Army soldiers for 4-6 weeks until I was ordered back to Kunming. Being bilingual, I understood the difficulties many of my Army nurse cohorts had at the time. 73rd Evac. Hospital, Ledo, Assam. 73rd Evac. Hospital, 20th General Hospital. Joined the Army Nurse Corps in May 1943 and was assigned to the 25th Field Hospital. Sailed on the George Washington to Bombay, India. While there I married Norman Smoczynski. I was in Ledo, Assam and then sent to Shingbwiyang, Burma attached to the N.C.A.C. 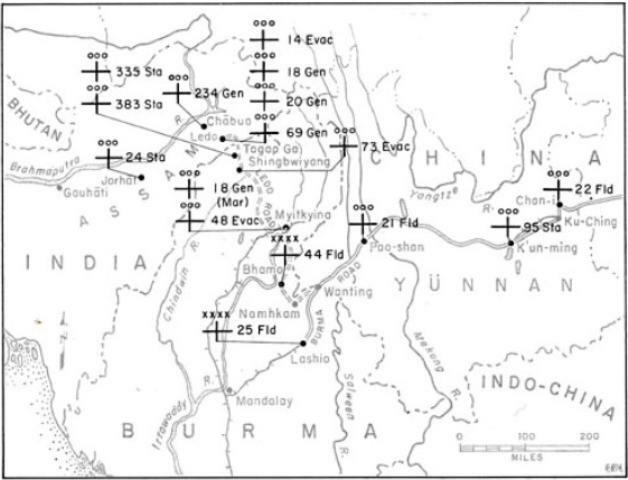 with stations in Ledo, Shingbwiyang and Myitikinia, Muse, Warazup and Lashio. I returned home in 1945. Graduated from the University of Pa. Hospital and did private duty nursing until joining the 20th General Hospital in 1942 which was activated at Camp Claiborn, La. in May 1942. Left Wilmington Ca. January 1943 on the U.S.S. Monticello and arrived in Bombay, India in February and arrived at our hospital in Margherita, India March 1943. I returned to the states July 1945 and remained in the service. In 1949 I transferred to the Air Force and in 1952 joined the 3rd Hospital Group and was stationed in England until 1954, and retired in June 1962. 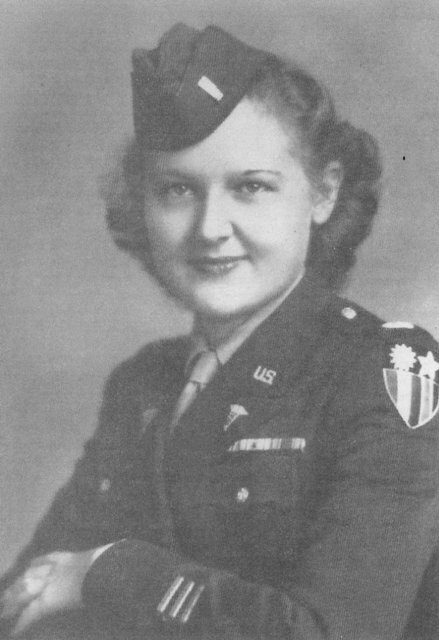 I was commissioned in the Army Nurse Corps April 1942 as a Second Lieutenant. Left the U.S. in January 1943 aboard the SS Monticello and reported for duty at Base Section No. 3 in CBI 1943 and served 31 months with the 20th General Hospital. I was discharged as First Lieutenant, September 1945. Joined the Army Nurses Corps and was deployed to Burma with the 73rd Evacuation Hospital Unit at Shingbwiyang after arriving from Los Angeles in February, 1943. 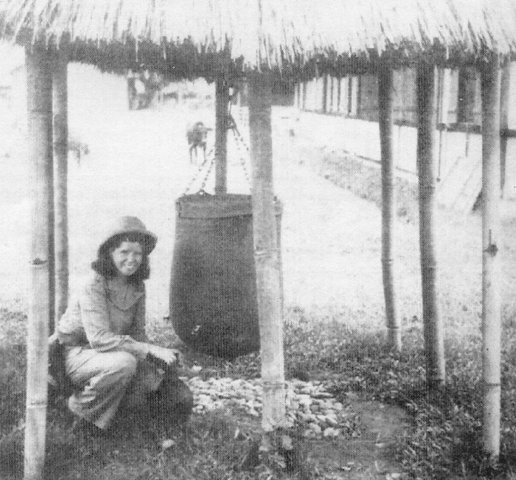 She transferred out of that unit and was sent to Calcutta before being sent back to the U.S. She weighed 98 lbs. in her dress uniform when she returned. Soon after she arrived in Burma, a photographer took her picture riding on a jeep with a fellow nurse, dressed in khaki fatigues and combat boots. That picture was circulated to newspapers across the U.S. Milton Caniff, an illustrator for a war-time comic strip "Terry and the Pirates" saw her picture and wanted to use her likeness for his newest comic character, Nurse Taffy Tucker. When he contacted her, she said he would have to get permission from her mother. After three letters from Mr. Caniff to her mother, she finally consented and sent Bernice�s service picture to him. A large number of girls auditioned for the part, but Milton Caniff said, "Miss Bernice Taylor of White Cloud, Kansas, is the perfect Nurse Taffy Tucker." During her military career, she served in Japan, England and various locations in the United States. Bernice retired in June 1966 as a Lieutenant Colonel. She loved the military life, and exemplified the dedicated women of the Army Nurse Corps who served in The Forgotten War of the Pacific. Chief Nurse, 18th General Hospital, Ledo and Myitkyina. Served as a graduate nurse with the 172nd Field Hospital. 20th General Hospital, Chabua; 14th Evac. Hospital, Ledo; 142nd General Hospital, Calcutta. 803rd Medical Air Evacuation Unit. Native of Frankfort, NY. Trained at Bowman Field, Kentucky. Received the Distinguished Flying Cross, Air Medal, Bronze Star (with oak leaf clusters) and possibly the Silver Star. I entered Army Nurse Corps March 1941 and left the states in 1942 on the U.S.S. Brazil with the 159th Station Hospital, landing in Karachi. I was also with the 181st General Hospital and the 178th Station Hospital. I was discharged in December 1945. Surgical Nurse, 69th General Hospital. 73rd Evac. 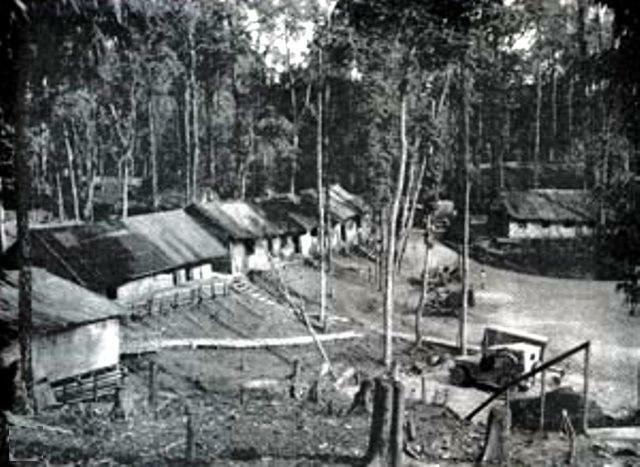 Hospital, Shingbwiyang; 25th Field Hospital, Lashio; 172nd General Hospital, Kunming. I was inducted into the Army Nurse Corps in January 1945 and arrived at Myitkyina, Burma via a MATS flight in February. I was stationed at the 48th Evac. Hospital, the 18th General Hospital and the 20th General Hospital and then the 181st General Hospital. I returned to the U.S. in February 1946. While in active reserves, I was recalled during the Korean conflict and remained n active duty until retirement as a Lt. Colonel in August 1969. 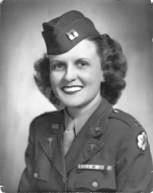 I was inducted into the Army Nurse Corps in May 1941. In March I sailed from Charleston aboard the SS Brazil and arrived in Karachi, India in May 1942. My overseas assignments include the 159th Station Hospital and the 181st General Hospital Karachi and the S.O.S. Hospital in Chakulia, India. I returned to the U. S. in October 1944. From March 1953 to March 1955 I served with the Army Nurse Corps in Japan. This page is dedicated to my wife and favorite nurse, Christine M. Weidenburner. Information provided by Tom Miller, Wendall Phillips and Gary Goldblatt. Additional hospital and nurse information provided by veterans and friends of CBI.